Woodfield players Megan Jones and Charlotte Bardsley competed in the National Cup. Megan was playing in the U12 competition and Charlotte in the Cadet. Both of these competitions were played at Preston and featured a masters format, where the best 10 players in the age group played a round robin over two days. In the cadet competition the matches were best of 7 and in the U12 it was played as a best of 5. The competition is probably the toughest one of the whole season as every match is going to be a hard one and each win counts towards the final position. The cadet girls play at the same time as the U12 boys and then the U12 girls play at the same time as the cadet boys. After each match, there isn't too much time for rest and food before you are into the next match. This was the first appearance for Megan at a National Cup and she played well, recording 3 wins. In the National Cup, the final competition position is often sorted out on a countback system, and Megan was unlucky to be on the wrong side of this at Preston, where two other players also finished on 3 wins. This meant Megan finally finished in 8th place. She will have learnt a lot from playing in such a competition against the very best players in the country and also being able to watch all of the cadet matches. This is all very valuable experience at such a young age. 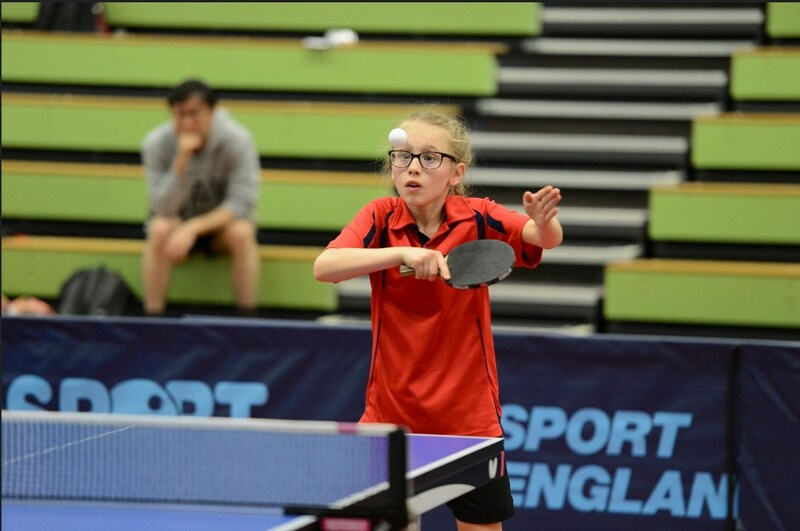 For Charlotte Bardsley, this was her 2nd appearance at the Cadet National cup, having come 3rd last year. After missing out on the Junior National cup the previous weekend through injury, Charlotte was determined to put in a good performance though still not 100% fit. Charlotte managed to battle through 8 matches with victories and so it was down to the final match against Megan Gidney to determine the overall winner. Megan had 7 victories at this stage but a win over Charlotte would give her gold on countback. 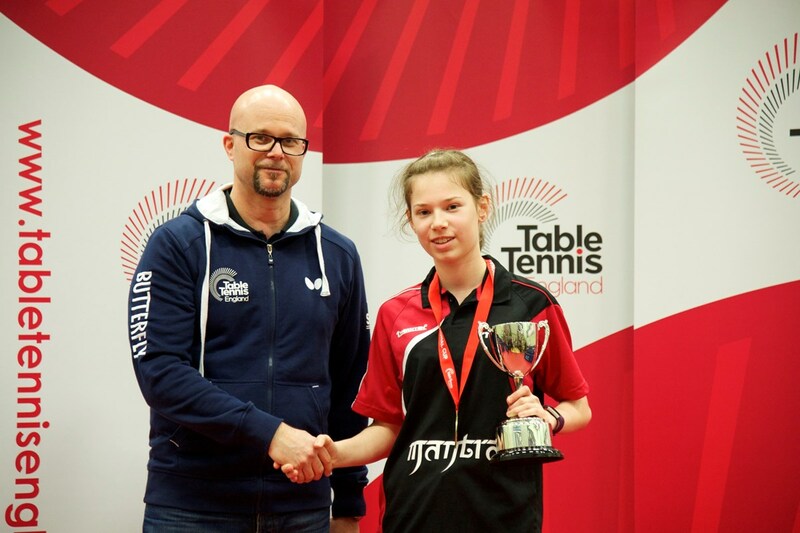 After losing out on Gold in the Junior National cup last year via countback, Charlotte put every effort in not letting that happen again and put on a strong performance in the final match, coming out a 4-0 winner and claiming her gold medal. Unfortunately for Megan Gidney, she dropped from a potential 1st place to 4th as a consequence of the next 3 players all finishing on 7 wins.